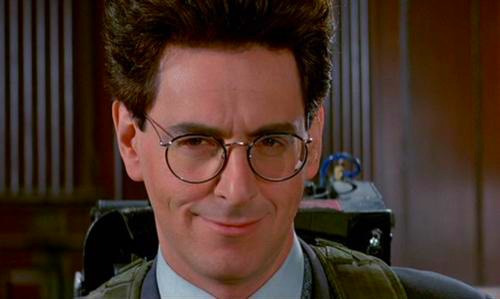 Most of us have heard by now of the passing of Harold Ramis. Most of us know him as Egon Spengler in Ghostbusters. But, he was so much more than that. In fact, he may have more of an influence on comedy in the ’80s (and beyond) than anybody else. Ramis was born on November 21, 1944, in Chicago, Illinois. He with Chicago’s Second City improvisational comedy troupe. In 1974, John Belushi brought Ramis and and other Second City performers, including Bill Murray, to New York to work together on the radio program The National Lampoon Radio Hour. During this time, Ramis, Belushi, Murray, Joe Flaherty, Christopher Guest, and Gilda Radner starred in the revue The National Lampoon Show. Ramis left SCTV to pursue a film career and wrote a script with National Lampoon magazine’s Douglas Kenney which would eventually become a movie you may have heard of – National Lampoon’s Animal House. Ramis next co-wrote the comedy Meatballs, starring Bill Murray. The movie was a commercial success and became the first of six film collaborations between Murray and Ramis. Growing up, I loved this movie. Even though it was released in 1979, I consider it an honorary ’80s movie. 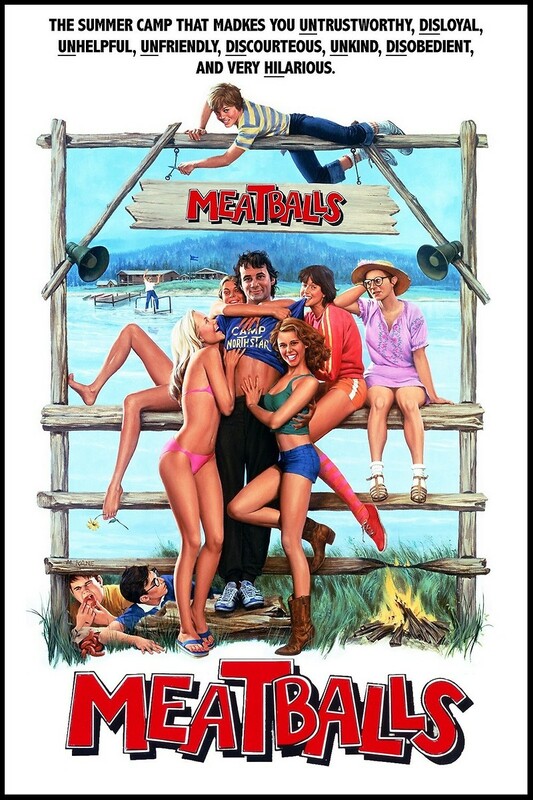 OK, so far the first two movies he wrote was Animal House and Meatballs. You may have also heard of the third movie he wrote. It was a little golf movie called Caddyshack! This was also his directorial debut. In 1984, Ramis collaborated with Dan Aykroyd on the screenplay for Ghostbusters (as well as the forgettable sequel), which became one of the biggest comedy hits of the summer. He also wrote and produced the Rodney Dangerfield movie, Back to School (1986). Then came the disappointing sequels to close out the ’80s – Caddyshack II (although we did get Kenny Loggins’ “Nobody’s Fool” out of that) and Ghostbusters II. 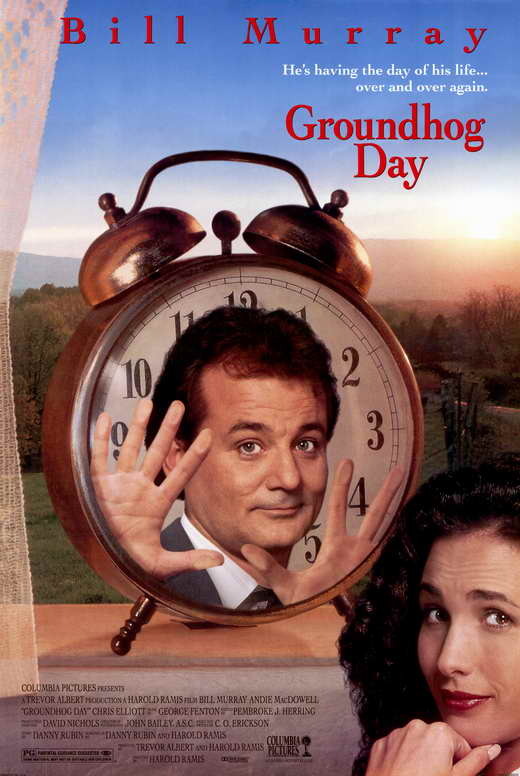 However, he did have a huge comeback writing, producing, directing, and acting in the 1993 Bill Murray film, Groundog Day. Harold Ramis’ movies have influenced many comedians and comedy writers, such as Jay Roach (Austin Powers), Jake Kasdan (Orange County), Adam Sandler, and Peter and Bobby Farrelly. There is a really good article about his influences in The New Yorker. In May 2010, Ramis contracted an infection that resulted in complications from autoimmune inflammatory vasculitis. He lost the ability to walk; after relearning to do so, he suffered a relapse of the disease in late 2011. He died of complications of the disease on February 24, 2014, at his home on Chicago’s North Shore, at age…69. C’Mon now!! Did he plan that! A great comedian to the end! We may have lost a great one, but his legacy will last forever. Question: What movie did this quote come from: “The luck is gone, the brain is shot, but the liquor we still got”? Last Question: In National Lampoon’s Vacation, how long was Wally World going to be closed? Clark then has a meltdown, gets a BB gun, and takes park security guard (John Candy) hostage to go on the rides.